Single-session tickets go on sale Friday, Dec. 7, for gymnastics’ Triple Cup weekend that is anchored by the 2019 American Cup, the USA’s most prestigious international invitational and part of the International Gymnastics Federation’s all-around World Cup series. 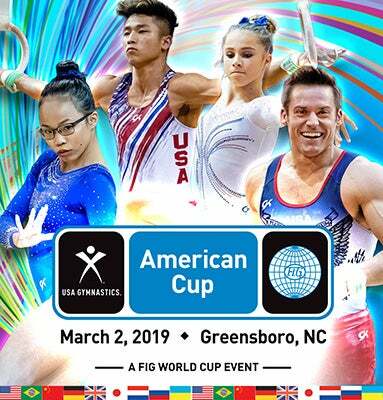 Held at the Greensboro (N.C.) Coliseum Complex, the American Cup is March 2, 2019, at 11:30 a.m. ET, with the Nastia Liukin Cup on March 1 at 7 p.m. and the men’s Elite Team Cup at 6 p.m. on March 2.